Extra Large Feeding mouth for large fruits. Seed collector for citrus fruits, no seeds gets crushed. Carrot feeding attachment, help in extracting juice at twice the speed. 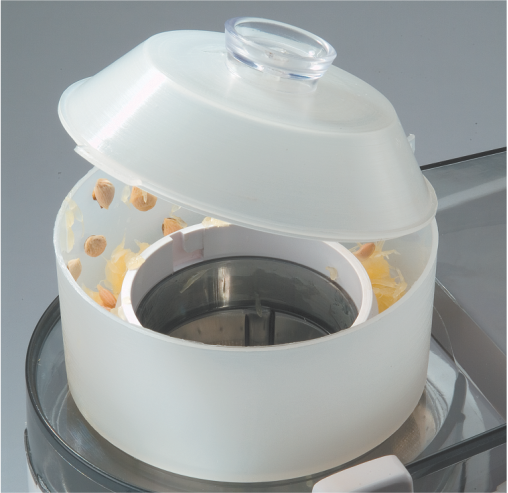 Ultra modern spinner mesh & blade that pulls fruit inside. Unichef introduces India’s finest Juice Extractor with a revolutionary Extra Large Feeding Mouth that lets you Juice Whole Fruit / Vegetable without the hassles of cutting, chopping and pushing thus ensuring quantity juice in seconds. An 925 Watts Double Ball Bearing motor perfectly complements its Extra Large Feeding Mouth for Fine Juices. The Juicer accompanies many more features ensuring up to 30% more Healthy Juice Extraction than any other Juicer in the Market. What else after all this that Juice O Matic XL Series Juicer also comes along with a seed Collector which is designed to keep away Citrus Fruits seeds from being crushed along , and thus Healthy Juices enjoyed in its most convenient form and best taste. When we say convenient we again bring to light the utilities of Extra Large Feeding Mouth wherein you just have to peel off the Oranges and put them in without cutting into pieces. 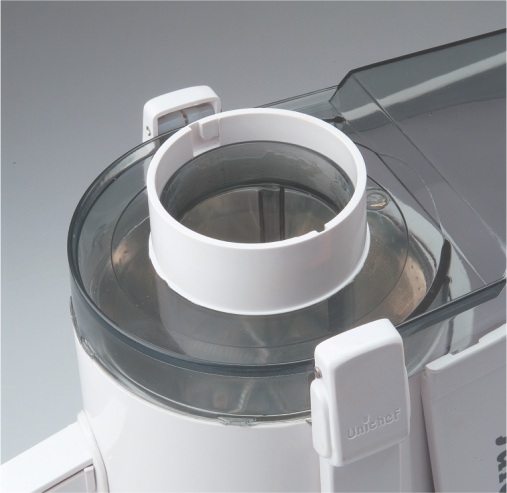 The Ultra Modern Blades and Spinner Mesh almost pulls the Fruits into the Juicer as one would rarely realize the need to push fruits inside the Juicer thus also giving a hands free experience. 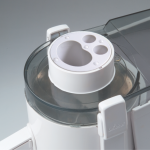 The Juice O Matic XL Juicer comes with elegant appearance and a compact countertop designed for power, durability and unlike other power juicers easy to use & store. Found in restaurants and juice bars in India, it has proven to be the best power juicer in the market with 925 Watts powerful motor for all day juicing solutions. Serious juicing consumers would not need adequate counter space in their home kitchens in order to use it. 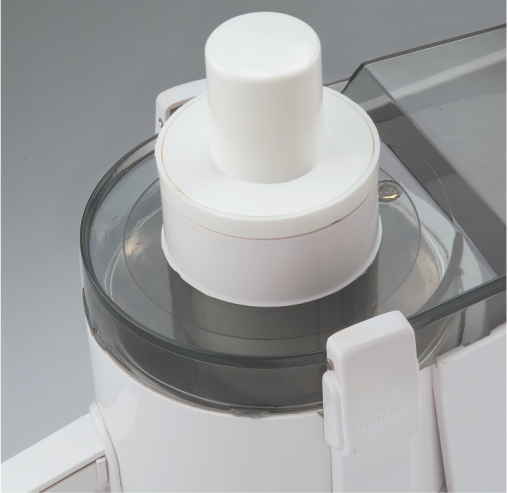 The Juice O Matic XL is ideal for Juice Bars, Restaurants, Spas, Health Clubs, Institutions- and obviously ideal for a place where it should be, a Home Kitchen for a Healthy Juicing Power as its critically balanced blades and micro thin mesh makes juice from fruits and vegetables in quick seconds. 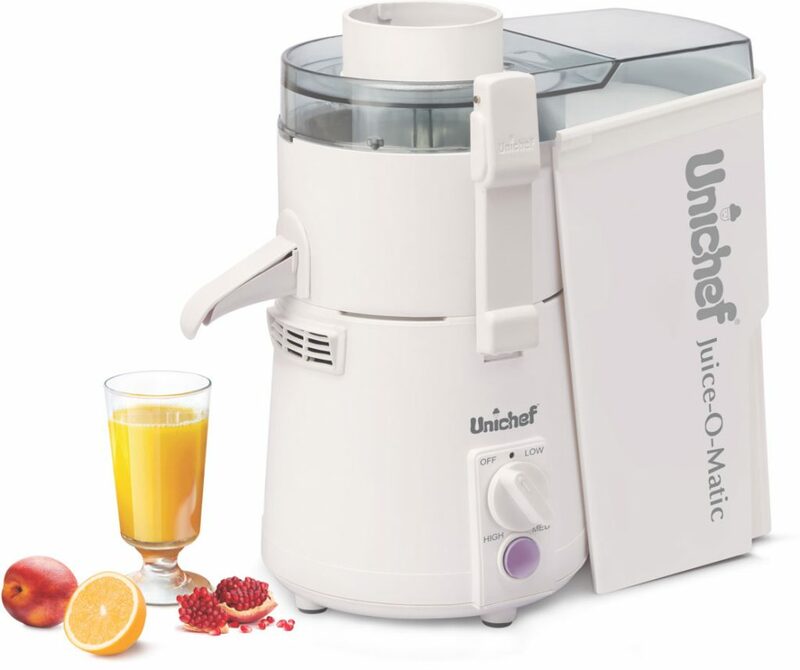 A Power Juicer with an Extra Large Feeding Mouth, Seed collector, carrot feeding attachment and the benefits of hands free use: all these features make Unichef Juice O Matic XL Series the Finest Juicers in the market. Not many have yet been able to resist using it.